On the second day of its release, the movie did not show much growth, earning Rs 16.50 crore. Shah Rukh Khan and Anushka Sharma's much-awaited film Jab Harry Met Sejal, one of the biggest films of 2017, was expected to become one of the highest grossers of 2017. However, the movie had a disappointing start when it earned Rs 15.25 crore on Friday, Shah Rukh Khan's lowest opener at the box office in five years. On the second day of its release, the movie did not show much growth, earning Rs 16.50 crore. The movie has to perform better on Sunday and Monday for a respectable total. It has the advantage of an extended weekend due to Rakshabandhan holiday on Monday. Expectations from this movie was very high, as for the first film the king of romance, Shah Rukh Khan and Imtiaz Ali had come together for a romantic film. But according to reviews, the movie lacks plot and has failed to live up to its hype. The movie released to poor reviews despite an impressive star cast. Movie reviewer and trade analyst Taran Adarsh took to twitter and called the film unimpressive. Watching Shah Rukh Khan go romantic is always a treat but due to the lack of gripping story line and poor screenplay the movie could not impress the audience which reflected on the box-office collection. In the list of top five openers of 2017, Jab Harry Met Sejal stands in the fourth position, tweeted Taran Adarsh. 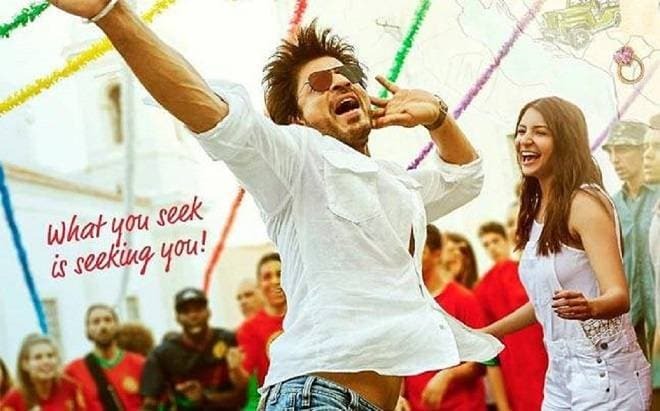 The film revolves around tourist guide Harinder Singh Nehra aka Harry (SRK), who discovers love while helping Sejal (Anushka) find her engagement ring, which she loses on a vacation in Europe. Jab Harry Met Sejal is SRK and Anushka's third film together after Rab Ne Bana Di Jodi and Jab Tak Hai Jaan, and first collaboration with Imtiaz Ali.